Soft water from your tap with the Doulton HCS Anti Scale Filter. Quick and easy connection to your tap. High quality brushed stainless steel housing. 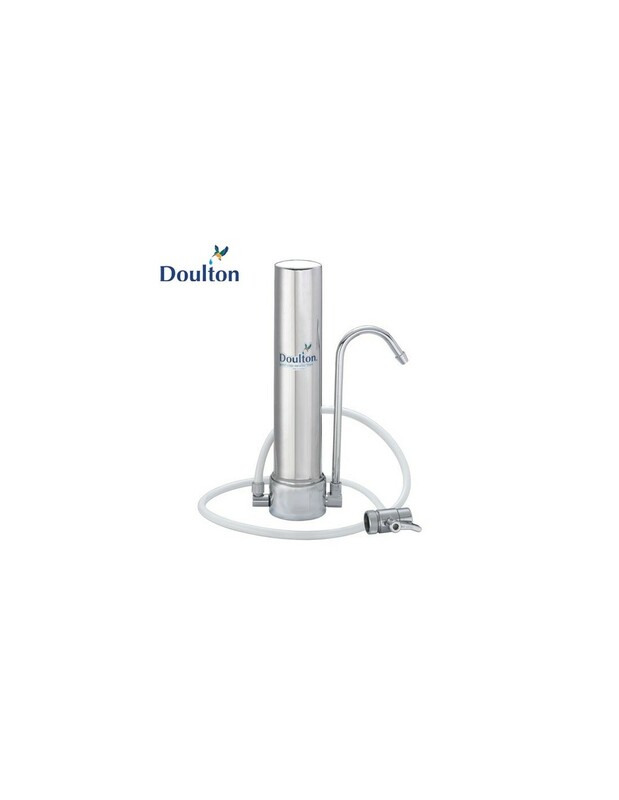 With the Doulton HCS countertop water filter you will enjoy safe, soft drinking water straight from your tap. This filter removes limescale, chlorine, chemicals and bacteria from your drinking water. You will notice the difference when drinking coffee or tea. The HCS filter contains a Doulton Supercarb SI filter candle. This ceramic filter provides multi-stage filtration with just one filter element. It offers you a compact filter housing and you will only need to replace only one filter element. 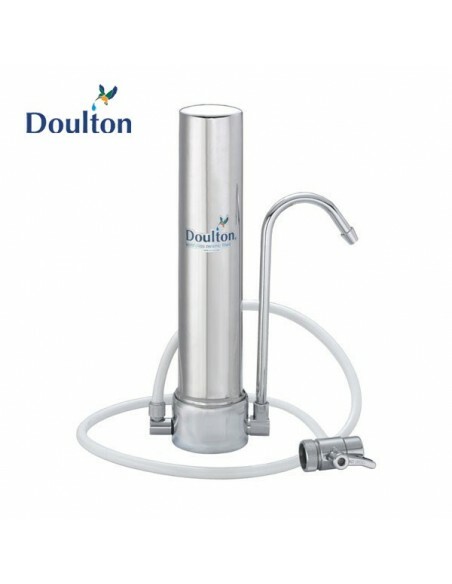 The Doulton HCS countertop water filter is connected within minutes to your kitchen tap. With a diverter valve, you can always choose to use filtered or unfiltered water. Included is an adaptor pack that fits standard threaded mixer taps. + No power required. Safe water whether or not power is available. + Simple to maintain. Wholly reliable. + Fitted with a long life, cleanable, ceramic filter giving you extra value. + Ceramic filter candles can be scrubbed clean to extend their life. The Doulton Supercarb SI candle consists of a ceramic shell fitted with an activated carbon block and polyphosphates. Activated carbon is very effective at removing chlorine and organics from water. Polyphosphates reduce limescale, they are completely safe and nontoxic, and many occur naturally in foods. 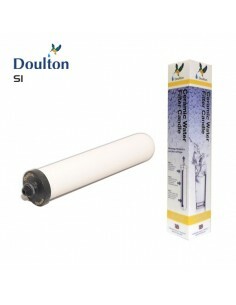 The Doulton Supercarb SI filter candle has a maximum capacity of 3800 liters and should be replaced six months after installation. 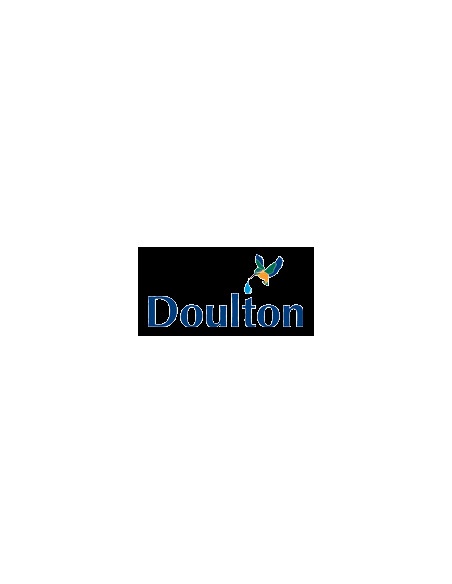 For a full performance overview, please Doulton Filter Specifications. Quality matters: Doulton ceramic filter candles are produced under the BS EN ISO 9002: 1994 quality standards. The candles are also certified by NSF, NAD and WRAS, which proves that they comply with the heighest standards for drinking water filters.